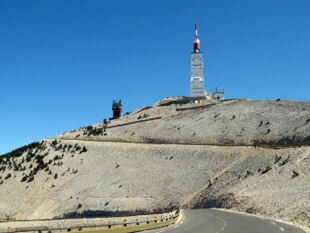 ﻿ Provence Bike Trip| Single Base Tour France| Conditions. 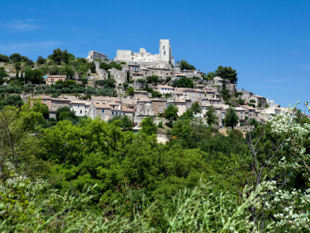 B&B BASED PROVENCE BICYCLE TRIPS - BOOKING CONDITIONS. Before you send your deposit & book your self guided bike holiday we ask you to read the following Terms & Conditions, as these form the basis of your contract with Provence Cycling Holidays (PCH), laying out both parties' responsibilities. Bookings will only be made by persons that are physically fit, are used to riding, and handling, a bike and are capable of participating in a self guided cycling holiday. If you have any health doubts / issues you will make the necessary medical checks with your doctor prior to booking. In order to maintain safety we ask that you follow our advice if we have concerns over the rides chosen and your ability, and that you act in a safe and prudent manner at all times. Taking part in our self guided cycling holiday is done entirely at your own risk. Provence Cycling Holidays (PCH) can not be held responsible for any injuries, loss or damages that occur during your holiday. We keep the use of the busier roads to a minimum, however, some use may be needed. During such times your full care & attention is required for your own safety. All persons should behave in a suitable manner in relation to all other persons & all properties. If in our reasonable opinion a person behaves in a such a way to cause distress or danger to another person, or unreasonable damage to property, we reserve the right to bring their stay to an end and ask them to leave the accommodation. No reimbursement will be made for any expenses incurred: travel, accommodation, meals, replacement holiday etc. No refunds will be made for curtailment. Prices shown relate to the price for 1 person on the basis of 2 adults sharing a double room. A surcharge will be made for single occupancy. Once we have received your booking confirmation, we will email you a pre reservation form, a deposit request and a link to our Terms & Conditions. By sending your deposit it is understood that you accept our Terms & Conditions. On reception of your deposit payment we will send you your reservation confirmation form. This form recaps all of your tour details, we will also ask you for your bike information and for you to sign (by hand or by typing) your acceptance of our Terms & Conditions, we will also show your balance due date (this is required for payment 8 weeks prior to the start of your holiday). We will send you a reminder 2 weeks prior to the payment date. If the balance payment date is not respected we may assume you are cancelling your holiday. Our cancellation policy and conditions may then apply - see paragraph 3. For holidays starting less than 8 weeks before the planned start date, we ask that you confirm your booking & make the total payment as soon as possible. You have 7 days (from us sending your pre reservation form) for us to receive your booking deposit payment. If we do not receive it within these 7 days we will consider you are no longer interested in the holiday and those dates may be released for sale. If we cancel between 59 & 41 days before your holiday start date - we will give you a 5% holiday reduction. If we cancel between 40 & 21 days before your holiday start date - we will give you a 10% holiday reduction. If we cancel less than 20 days before your holiday start date - we will give you a 15 % holiday reduction. These future reductions are valid for the person(s) on the original cancelled booking only, for 2 years from the date of cancellation. As the idea is not to make money out of cancellations, if you did indeed need to cancel, and we manage to replace your room booking with another, we will refund you up to that booking amount. Like wise, if you can find a party to replace your booking we will refund your booking up to the new booking amount. No refunds will be made once the holiday has started. We can not be held responsible for bad weather and other factors out of our control. If we were to have bad weather and you decide no cycling is possible we will suggest alternative activities. These refund conditions apply to all persons on the booking, including bookings for more than 1 person. A single refund for the entire amount will be made to the person who made the booking. Payment (less fees) will be made by PayPal or bank transfer. In the event of a partial cancellation to a room (where only 1 of the 2 persons cancels), the single person surcharge will be applicable to the remaining person. This fee will be due as soon as possible and before the holiday start date. Unfortunately errors may occur and changes may be needed once bookings have been made. We make every effort to keep these changes to a minimum but in such an event we reserve the right to make changes and cancel a booking(s) if necessary. Plus we will give you a 10% discount on a future holiday. These future reductions are valid for the person(s) concerned by the amended booking only, for 2 years from the date of change. Accommodation is at our farmhouse in Coustellet. It is based on a bed & breakfast formula with a 3 course evening meal every 3rd night (including soft drinks, beer & wine). Rooms are all double with either a double bed or two single beds - there are no single rooms. Two rooms have ensuite bathrooms & two rooms share one other bathroom. All rooms have a television, hairdryer & the necessary for tea & coffee. Bed linen, towels, dressing gowns & basic bathroom toiletries are also supplied. Prices are per person and based on two adults sharing 1 room. There is a surcharge for single occupancy. Arrivals are from 4pm, from Noon by prior appointment. Departures are by 11am. 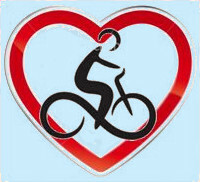 For the duration of your self guided bike holiday we will provide you with a quality hybrid bike, or an electric or road bike (extra charge of 168€ for your stay, including insurance), essential bike equipment (helmet, repair kit, pump, bottle etc) and a GPS system, all in good working order. All reasonable care must be taken to avoid damage or loss to said equipment. Any loss, damage or theft of equipment must be paid for at the end of the holiday based on quotes recieved from our suppliers. Our bikes are fully maintained and checked before your arrival. We would ask too that you check your bike is in full working order before its first use and to check it before each day's use. Any faults must be reported to us immediately and before any further use. If you bring your own bike we can not be responsible for mechanical problems - you should therefore ensure that your bike is in full working order. Although we will of course provide emergency back up and transport should you need it. If a replacement hire bike is required we will supply one from our stock or from our local suppliers. We will also loan you a copy of our tourism guide and our ride directory to help you select your rides - these are our intellectual property & must not be taken off the premises, copied, photographed, scanned or disclosed to a third party. Provence is hot during the Summer months - it is therefore essential that you take the necessary measures to stay hydrated. For your use we supply bike water bottles, there are numerous shops, cafes & fountains where these can be topped up. And it's always a good idea to bring a camelback style water system as these can carry several litres. Our GPS guided holidays include emergency back up and transport for you whilst out on your bikes should you need it. minor illnesses & accidents - that mean you can not or do not feel comfortable continuing your ride. Of course for serious accidents you would call the local emergency services number that we provide. Please ensure that you have adequate travel insurance to cover you, for 1 - should you need to cancel your tour before the start date and 2 - for illness or injury during your cycling tour. Guests are responsible for any loss, damage or theft of their bicycles, equipment or GPS systems (up to their full replacement value depending on the problem). Note that we supply quality bike locks to secure your bikes. Our GPS systems are solidly fixed to the bars, but can be easily released for touring on foot. Our price does not include all other holiday expenses such as: transportation to us, hire cars, lunches, dinners away from the b&B, travel & medical insurance, entrance fees to sights etc.